When Physical Therapy Doesn't Work: Can A New Spine Procedure End Leg & Foot Pain? When Physical Therapy Doesn’t Work: Can A New Spine Procedure End Leg & Foot Pain? Cortisone shots and physical therapy sessions have been a staple of podiatric medicine for many years, providing relatively non-invasive treatments for leg and foot pain sufferers. Yet, these treatments don’t necessarily work for all patients, so it’s important to find practices that are willing to invest in new technology. What Does One Do When Conventional Therapy Doesn’t Work? 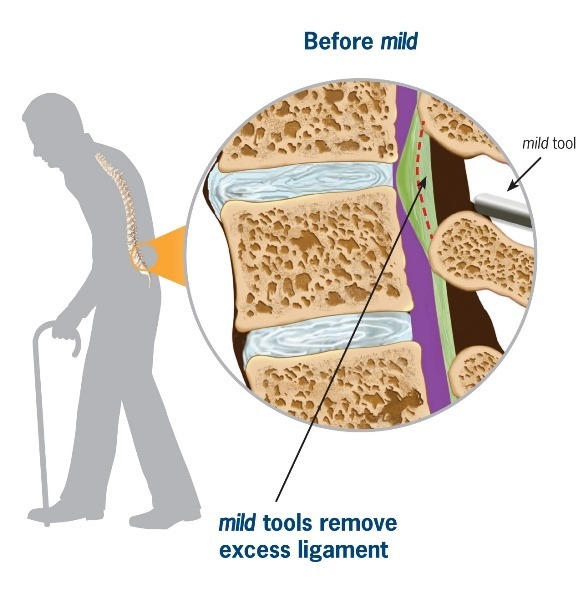 Can A New Spine Procedure Help Leg & Foot Pain? YNN tells the story of Ken Witty, a 70-year-old tennis player who suffered from severe leg, ankle, and foot pain. “I did physical therapy for a number of months, and that didn’t work,” he recalls. He got a cortisone shot in the back, which worked for a few weeks — but the pain came back even worse. “It got to the point where I could stand in the middle of the court, but if I had to run to either side, it just killed,” he told the news outlet. It turns out he had a common condition called lumbar spinal stenosis, which often appears in people ages 50-60. This condition occurs when the spinal canal or verebral foramina becomes narrowed due to degenerative arthritis. Symptoms of spinal stenosis include pain, weakness, and numbness in the legs, radiating down to the feet. Loss of bowel or bladder function may occur as the condition worsens. It can often be misdiagnosed, but once discovered, surgery is usually recommended. Looking For Minimally-Invasive Surgical Techniques? Our Manhattan and White Plains podiatric care and sports medicine offices specialize in minimally-invasive surgical techniques to help you get back to the sports you love in no time at all. There is no reason to suffer through leg and foot pain when you could be living pain-free next month.